After quite a dramatic 2016, we have very little to fear, as far as we know, in 2017. No referendum, no US election, no World Cup or European Cup for the home nations to disappoint in. According to Fortune, the biggest priority, and concern, for business leaders in 2017 will be retaining employees in a competitive talent marketplace. Here are some benefits trends you need to be aware of for the year ahead, and some upcoming new benefits that could help you win that ‘war for talent’. Love him or hate him, the new president has certainly caused a stir. After wading through the propaganda, post-truths, and controversial rhetoric, people actually want (and need) to know where the president stands on employee benefits topics in the US. As the employee benefits industry in the US had worked to adapt the Affordable Care Act, the idea of Trump’s ‘repeal-and-replace’ agenda is making many people feel uncomfortable. His subsequent lack of specificity is not alleviating this worry. His manifesto promised to repeal Obamacare; do away with laws that inhibit health insurance vendors to sell across state lines; allow individuals to deduct health insurance premium payments from their tax returns; allow individuals to use HSAs; force healthcare providers’ costs to be transparent; and block-grant Medicaid to the states. Having already made steps towards replacing Obamacare, we’re very much ‘watching this space’. Employers must be aware of over-use of legal and non-legal opioids; painkillers. Your health and wellbeing schemes probably target fitness and possibly even diet, but employers are nervous to tackle the possible signs of addiction for fear of breaching employee privacy. The data is particularly visible in the US, where prescription painkillers are far more common than at home; nearly one out of three opioid prescriptions subsidised by US employers is being abused. If employers suspect addiction, intervening early can help an employee recover and return to work 18% sooner. 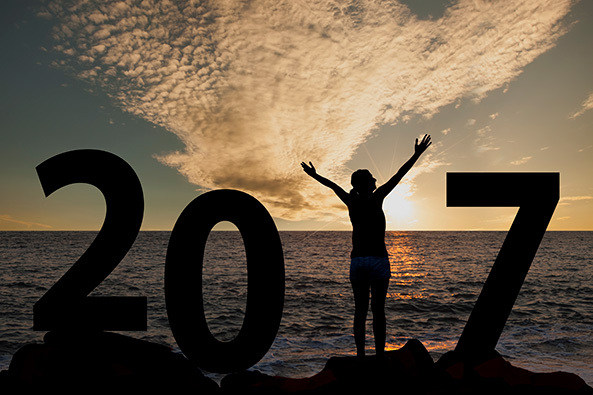 A survey from PwC has found that over half of their respondents are stressed by their finances, and it’s predicted that the popularity of financial benefits offerings will reach new heights in 2017. However, it seems that employees do not necessarily understand the value of the financial wellbeing benefits already on offer, as current take-up is low. Therefore, your communications regarding this type of benefit need to be clear, concise, and tailored to the individual. Millennials in particular are seeking legal support when it comes to navigating significant life events. According to SHRM, interest in legal benefits has double in 10 years. The emphasis on non-traditional voluntary benefits is on the up for employees. Digital medicine – The idea of speaking to a doctor online rather than having to battle through the queues and week-long waiting times at your local GP is one which is sparking more and more interest. Globally, employees are turning to the internet for health information. According to Rock Health, 71% of internet-connected adults look online for health information. Also, 52% of smartphone users have used their mobile device to access or look up medical information including specific medical problems, or more general diet, nutrition, and fitness-related topics. Video nurse practitioners are the next natural step which employees will come to expect from their employers. Mainstream wearables – It’s official; exercise doesn’t count unless you’re wearing some sort of watch that can record how much you’ve exercised. In all seriousness though, wearable technology has revolutionised the health and fitness industry for the better. People are much more conscious of their health choices, and this is due – in large part – to wearable technology. This tech is going to branch out into other areas; namely the workplace. Employers are already utilising the advantages of wearable technology in a health-and-fitness-at-work sense, but wearables will become useful for other things too. Employers can (responsibly) track activity to gauge productivity; not necessarily to penalise or reward employees, but as a data gathering process. Student Loan repayment benefits – HR Grapevine predicts this to be the hottest benefit of the year in the US. However, given that tuition fees in the US are no longer more expensive than in the UK, helping employees to repay their student loans will undoubtedly be a big draw for younger employees as this debt becomes ever-more eye-watering. You may already have plenty of financial wellbeing schemes in stock, however this specific kind of help could be the missing piece of the puzzle for your organisation. Seventy-six per cent of respondents to an American Student Assistance Survey last year said that this benefit would be a deciding or contributing factor to them accepting a job. A rise in autism benefits – Large companies are rapidly tackling the autism unemployment rate. Workplaces such as JPMorgan Chase are increasingly offering support for testing for the disorder, and covering treatments such as applied behaviour analytics. Companies such as Freddie Mac and Microsoft have also been investing in projects to hire university graduates with autism as paid interns. German software company, SAP, has partnered with Specialisterne to help people with autism find employment. UK employers may well find that they attract some fantastic candidates by offering this sort of support.